One of my friends jokingly suggested that I should open a healthy donut food truck. I guess I’m trying to expand my offerings. 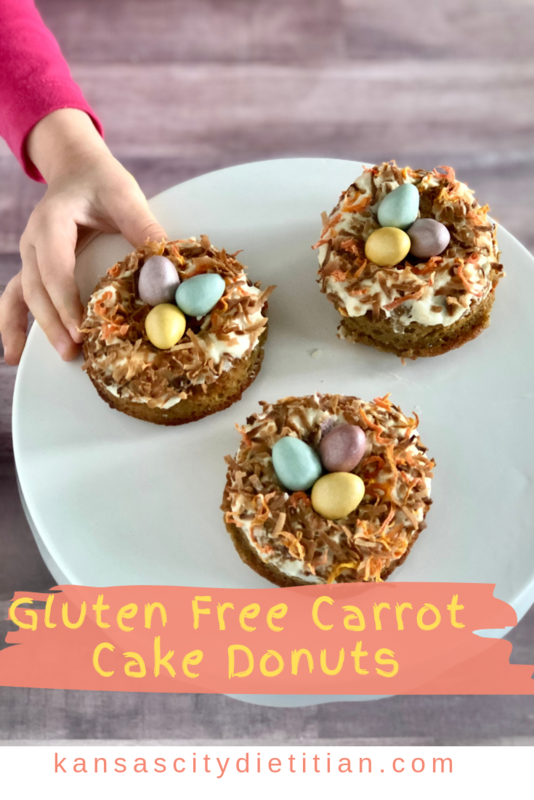 I’ve already shared my veggie lover’s donuts, and my chocolate lavender donut, and now I’m bringing you your springtime favorite gluten free carrot cake donut with amazingly simple cream cheese frosting. Often when baking gluten free donuts they can become tough and dense because gluten is what provides the structure. 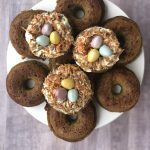 One of my favorite additions to this recipe is the cream of tarter, it is optional, but it makes the texture of these donuts so rich and fluffy you won’t want them without it. If you aren’t familiar with cream of tarter, you can find it in your spices aisle. 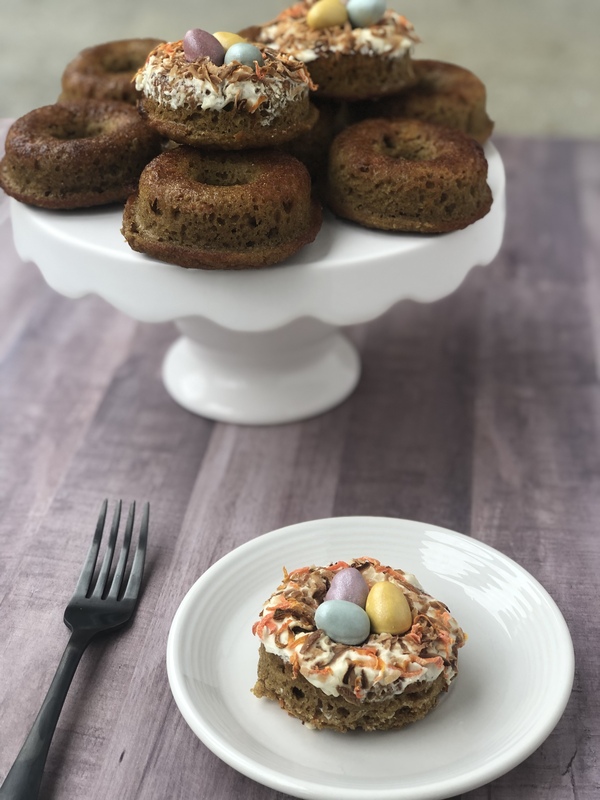 The only thing that makes these better is the simple cream cheese frosting made of cream cheese, honey and a little unsweetened almond milk. Half of the fun of these donuts is decorating them. 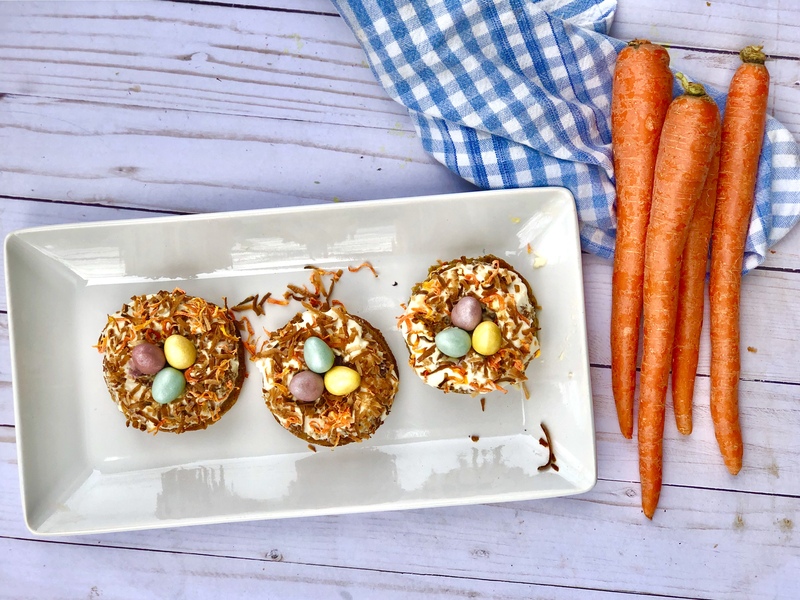 We toasted extra shredded carrot and some coconut to get that nest like texture. 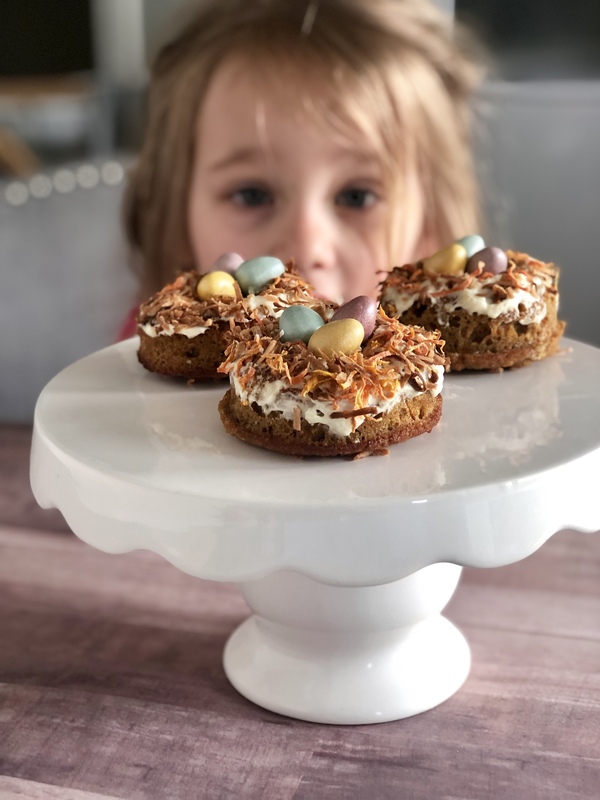 Then we topped them with some chocolate egg candies. What ways can you dream up to decorate them?